With the latest release of Data Server Manager, you now have access to enhanced monitoring for Db2 Warehouse on Cloud and Db2 on Cloud. 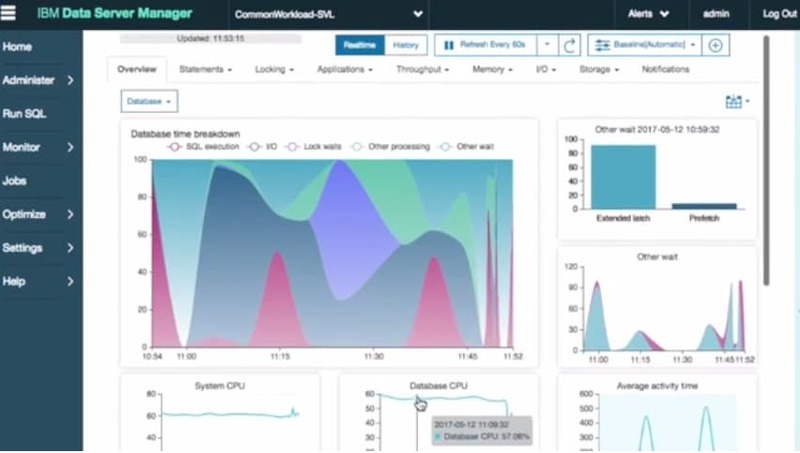 Take advantage of advanced near-real-time and historical monitoring of your SQL statements, CPU utilization, memory usage, storage, IO traffic, locking, clients, workloads and other systems. You can also choose to enable additional alerts, increase the frequency of the data collection and define how long you keep it.